At Catch Up®, we feel very lucky to have such an enthusiastic team of Accredited Trainers who deliver our courses across the UK, Ireland and Australia! 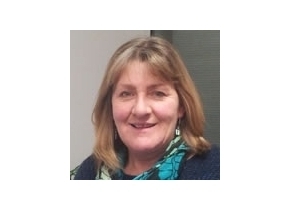 Kath John has been a member of the team since 2009, delivering training for both Catch Up® Literacy and Catch Up® Numeracy. Before working for Catch Up®, Kath enjoyed a very successful career as a teacher in primary schools. She taught across the age ranges from 5 to 11, having responsibility for many different curriculum areas over the years, including music, history, geography and maths! We always knew Kath was multi-talented! After her very successful time at the local authority and consortium, Kath then became an independent consultant, which led her to complete the training to be a Catch Up® Accredited Trainer – and we were delighted to have her on board! Talking of being ‘on board’, in her spare time Kath also managed to become a senior dinghy sailing instructor and is qualified in power boat rescue! She used her teaching experience to excellent use, enabling many young (and older) people to learn how to sail. Kath has been made very welcome at different venues during 2018, including a number of schools and at our own Regional Training Centres. She thoroughly enjoys delivering the Catch Up® training for both interventions, and seeing trainees leave the training room fired up to get started and support their struggling learners! The feedback we have from trainees in our training rooms is very positive, and Kath has been so pleased to see deliverers growing in confidence over the course and discussing the practical issues of setting up an intervention with gusto and enthusiasm. She can often be heard sharing her main top tip for Catch Up® delivery – ‘Keep it simple and make it fun!’ We couldn’t agree more!